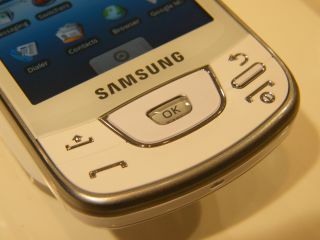 Samsung has exceeded its target for mobile phone sales in 2009, with the electronics giant breaking its self-imposed 200 million handset goal. Samsung is the second biggest seller in the mobile phone world, and after narrowly missing out on the 200 million mark in 2008, it was confident of breaking it this year. And that confidence was not misplaced, with the company now stating that it has surpassed its target, in a big year for the mobile phone. Some analysts have immediately suggested that the company may need to cut its margins in order to compete in the growing smartphone market, but the company will be delighted about the growth it has shown in touchscreen handsets. Samsung also stated that its global market share in handsets rose over 20 percent for the first time in the third quarter, and with an unchanged profit margin of 10 per cent. The likes of Apple, RIM and old hands like Sony Ericsson and Nokia have all seen smartphone sales increase, as the market becomes steadily more competitive.